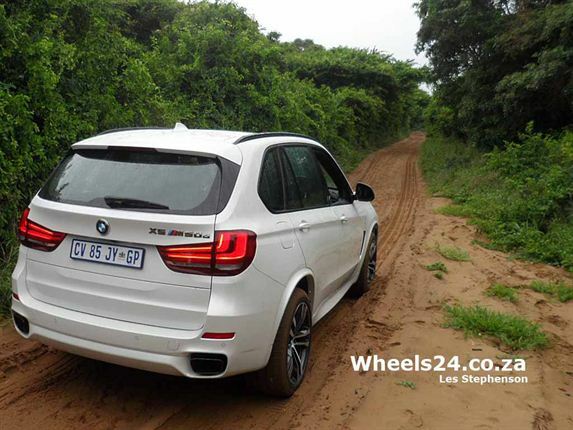 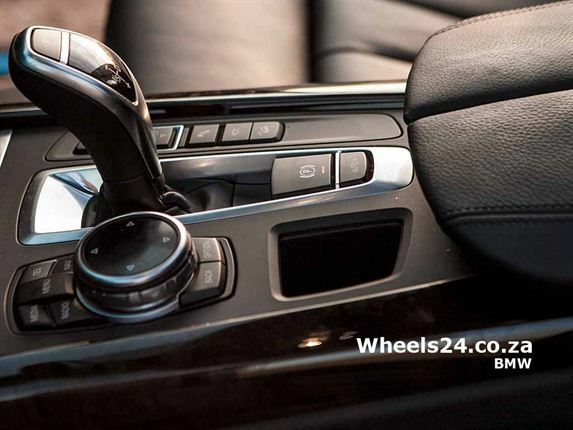 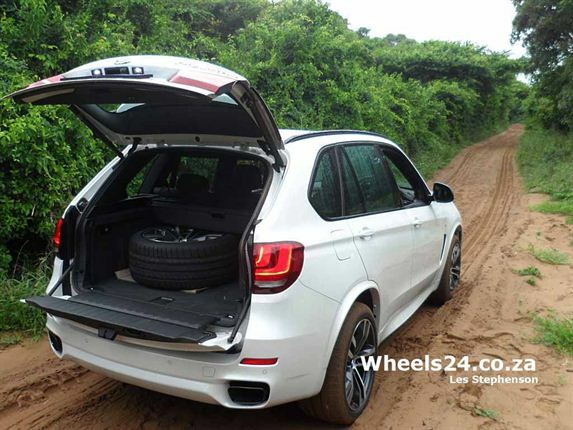 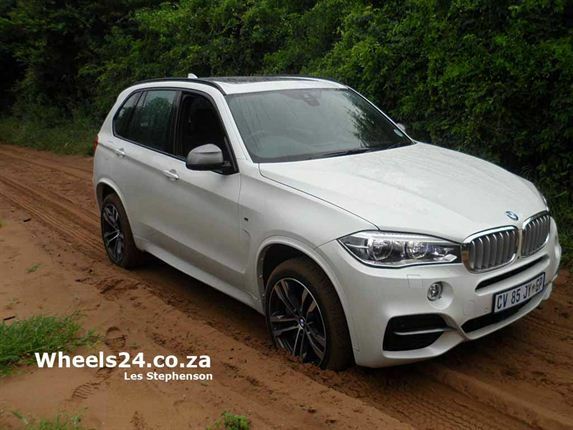 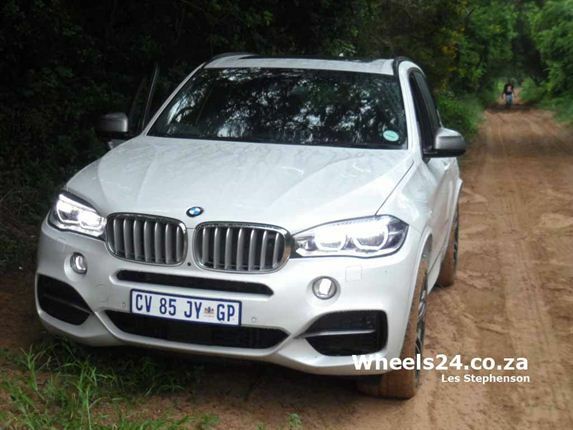 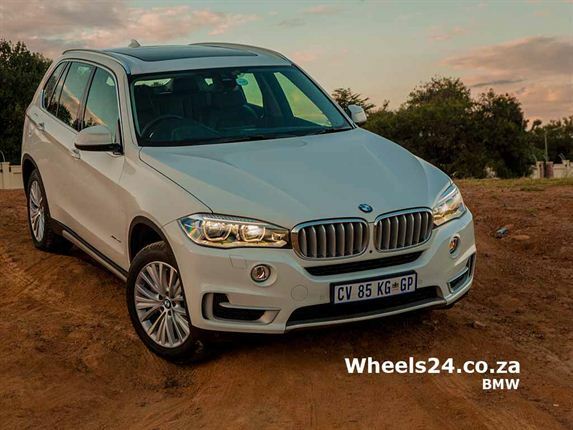 MORE THAN A DUNE BUGGY: Treading lightly on the soft-sand tracks of Mozambique, BMW's X5 M50d Performance model takes a stroll in the dune forests. 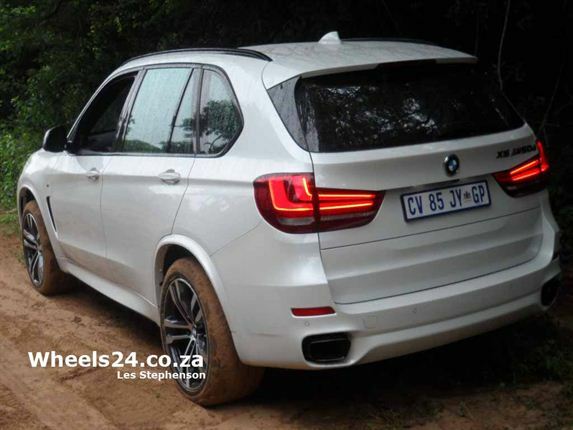 MILLENNIA-OLD BUSH: Revised light clusters grace the rear of the 2014 BMW X5 - not only the 'M' badge shows its pedigree. 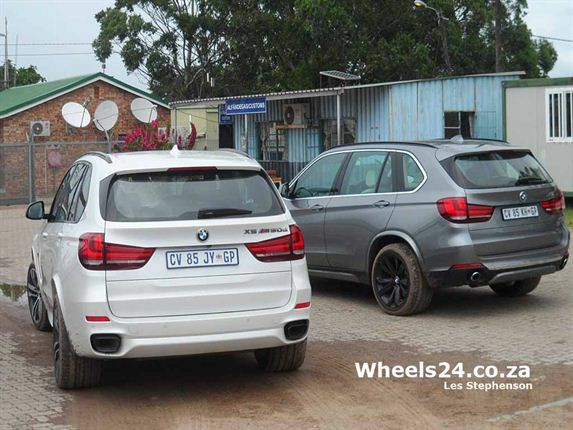 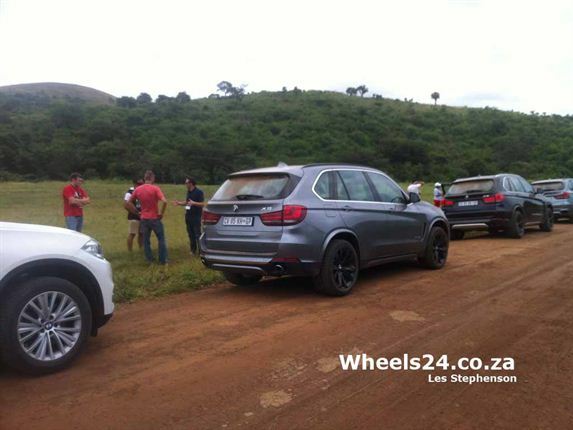 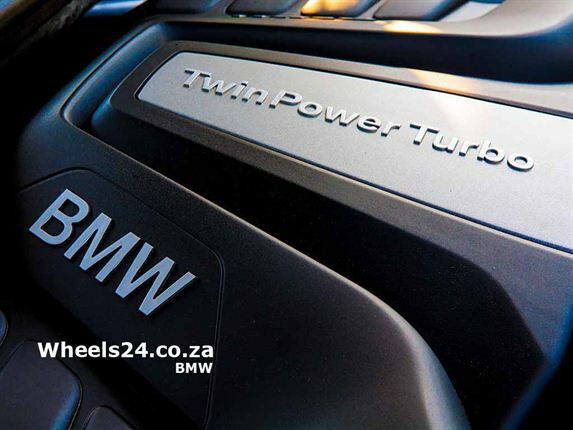 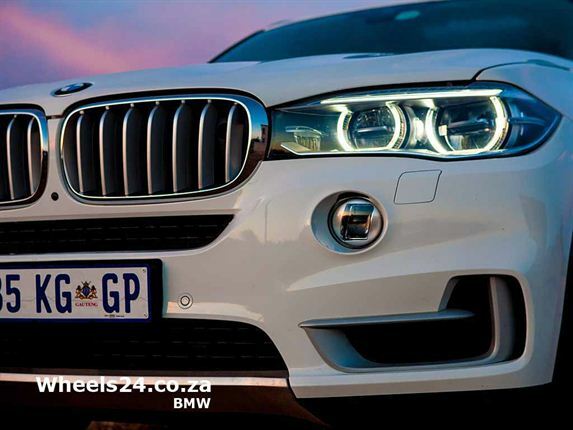 BIG EXHAUSTS ALSO TELL THE STORY: How to tell big brother from the rest of the range that stormed into Mozambique for the launch of X5 Generation 3. 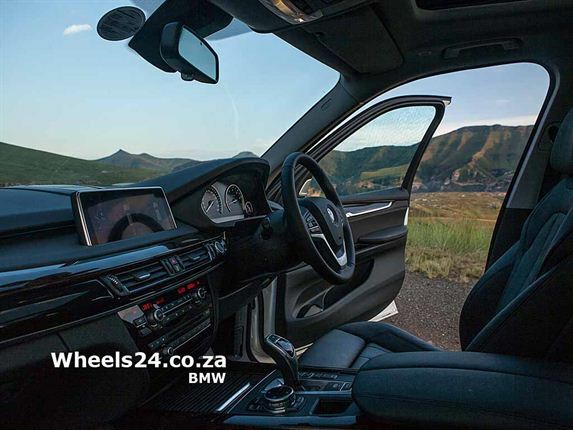 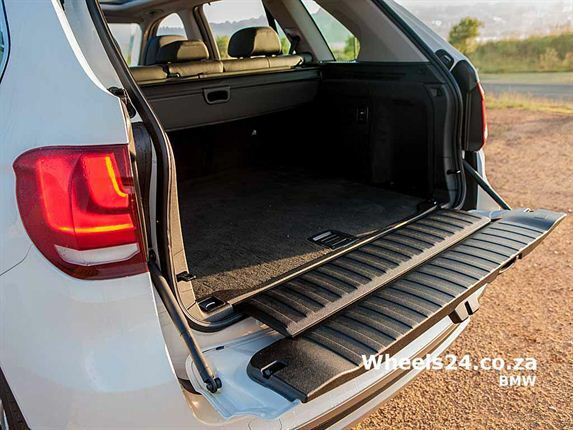 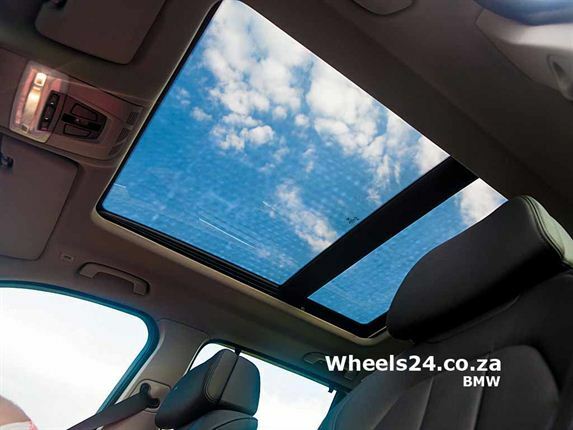 DOWN THE TRACK FROM PONTA MAMOLI: The split tail door on the X5 has power operation - and makes a great place to sit at horse trials or picnics. 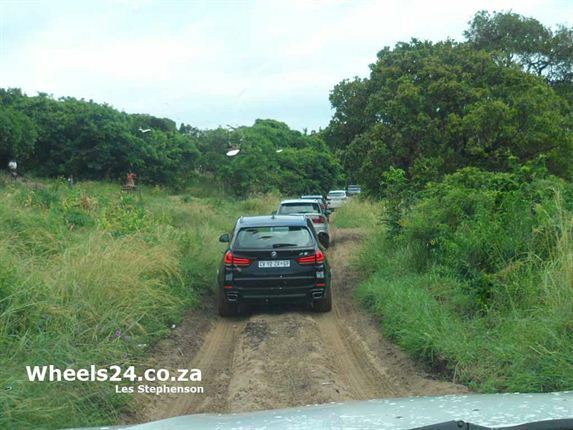 MORNING STROLL FOR A LOCAL: Passing places in the southern Mozambique dune forest are rare - so it's good to be polite. 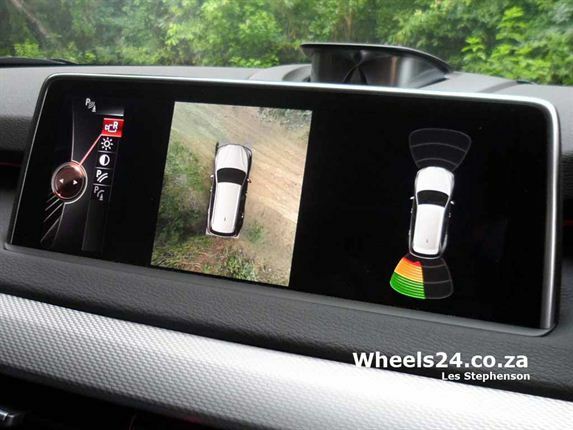 MANOEUVRING MAGIC: Four cameras give an excellent all-round view of the car in tight situations such as car parks. 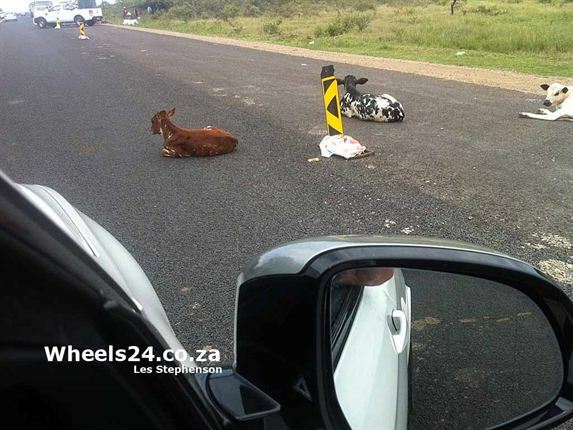 COW CRECHE: These calves thought nothing of warming up on the tar alongide roadworks in northern Natal and didn't even look up as we drove past. 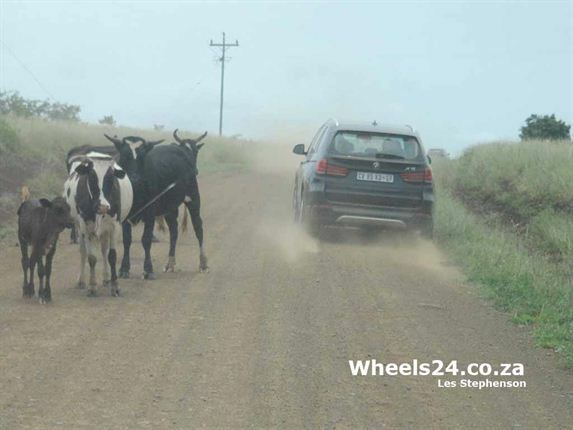 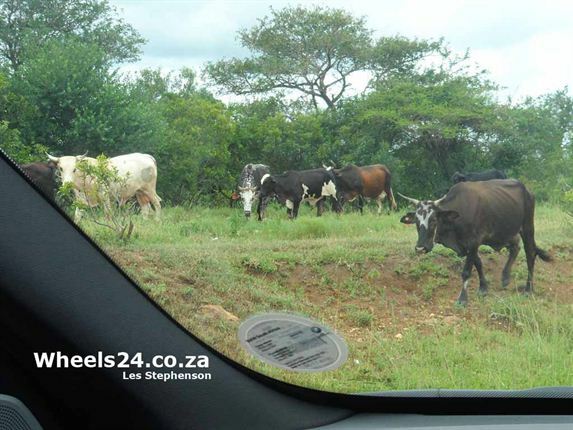 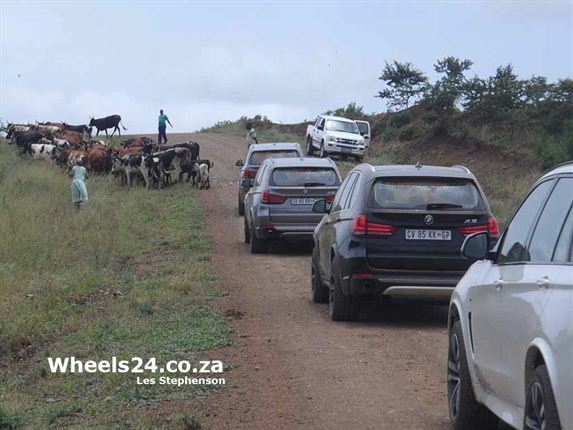 IN THE HERD WORLD: Wandering cattle are were a constant danger on the road through Zululand to Mozambique. 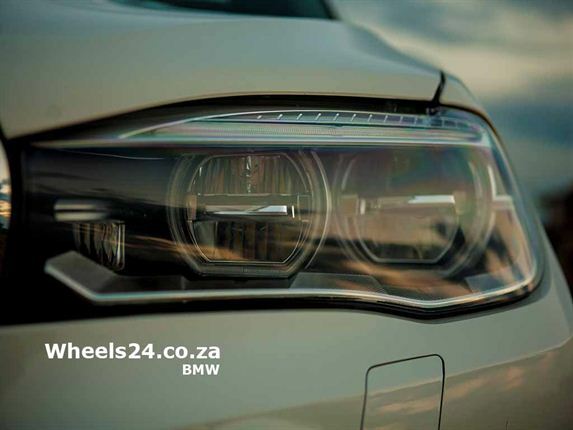 NEW HEADLIGHT CLUSTERS: The 2014 X5 range has taken night-driving illumination to a new level - with the option of critter-spotting cameras. 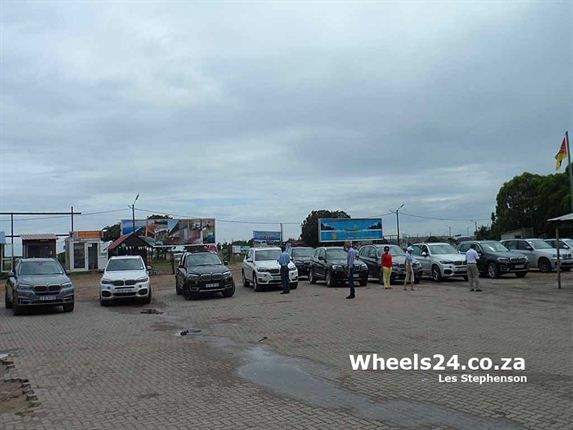 TIME TO GO HOME: Back at the Kosi Bay border post heading back into SA - please guys, can't SA and Moz get together, clean this place up, and improve the primitive passport offices?